One important element of good power system design is the proper selection of the distribution equipment. The choice of using either switchgear or switchboard must be based on many different criteria and the design of the power system requires thought be given to each one. Following are insights into just a few of the differences to help in making those decisions. Switchboards to NEMA PB-2, and UL -891. Switchgear incorporates only low-voltage power circuit breakers (LVPCB) which conform with ANSI C37.13 , NEMA SG-3 and are listed per UL-1066, whereas switchboards may include any combination of protective devices including insulated case (ICCB), molded-case circuit breakers (MCCB) listed per UL-489, fusible switches listed per U L-508 and 977 and power circuit breakers listed to UL-106 6. 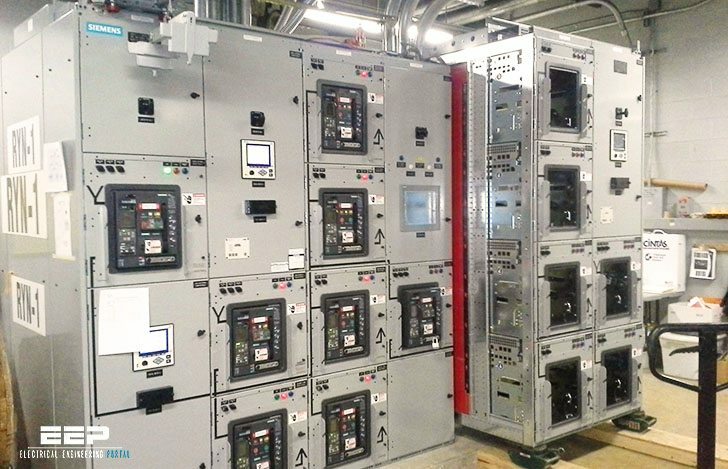 Unfused switchgear is short circuit tested at 15% power factor for a full 30 cycles, while switchboards are tested at 20% power factor for only 3 cycles . Your article about differences between switchgear-switchboard is wrong. You are confusing the terms, when you write switchgear must be switchboard and vice versa. From my understanding I think a switch gear is suppose to be the source of Main Power supply to the switchboard. While switchboards are design in mind to be means of distribution to the rest of the branches of the circuits. If I am wrong please educate me further please. Terminology continues to be confusing to the reader. I am familiar with both European and North American, and when i see Switchgear, Switchboards etc, I read in context. We cant say becasue its tested differently, its one or the other. No, it can be either, its how its configured and tested for its application that counts – not merely the title. Being specific when writing e.g. as it applies to the North American market, with dates and references will be a helpful guide to contributors. if you consider as a switchgear a low voltage unit, what is then medium voltage unit or what is an MCC? Regarding “The Application of Switchgear and Switchboards” by Jerry Milton, GE Systems Engineer. It is a good one! But, it also illustrates the need for adding dates to the articles published in E-E-P. It references NEMA SG-5 that is obsolete, and the content of the article is restriced to low-voltage systems only.